Customization according to your every requirement is entertained here. Exclusively designed and produced by hand tufted technique with recycled cotton and natural jute. These are washable carpets and are readilly sold in market. The quality of these carpet is these are washable. Equisite wool rug which will enhance your home decor. We manufacture and export a wide range of handmade carpets which are fabricated from different types of material in shaggy patterns. These handmade carpets are made up in different design patterns which can also be customized as per your given specification. Woolen Carpet Our hand knotted woolen carpets, offer versatility in terms of color, pattern and strict quality control in every steps of production. 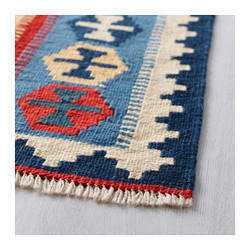 To make knotted carpets, knots are individually done one by one by hand. These carpets are ideal for any kind of Persian traditional designs. Modern Hand Tufted Carpets made of NZ wool and can be made in any sizes and quantity as per buyers request.We also make custom orders also. luxury range of 100% viscose hand made carpet is compliment for luxury homes. 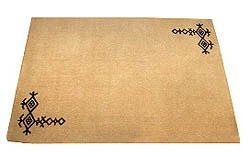 Scintillating handmade carpet features blossoming flowers in the combination of beige over black and maroon base.